I realised that my tag line is quite deceiving. Not intentionally, of course, but I am very slack on the ‘lifestyle’ aspect of vanessataaffe.wordpress.com. Despite a few posts about Paris and Wimbledon, they are few and far between. 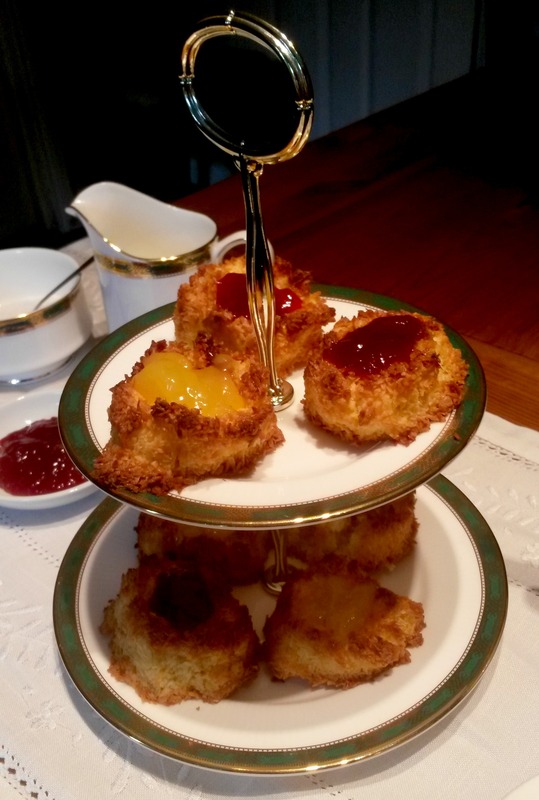 So today I’m sharing a delicious tried and tested recipe for coconut macaroons. I always hear people asking what the difference between macaroons and macarons are. A post on macrons can be found here, which are hard shelled and filled with a jammy/jelly filling, typically French and varying in flavours. Macaroons on the other hand are usually balls of coconutty deliciousness. When I found this recipe online it instantly reminded me of the Belfast Continental Christmas Market. Every year there is a lovely man from Holland who sells amazing macaroons! His macaroon stall is my favourite stall at the market. While this recipe is not as sophisticated, the result is delicious. It is especially tasty if you love coconut. Preheat your oven to 180c/ 350f. 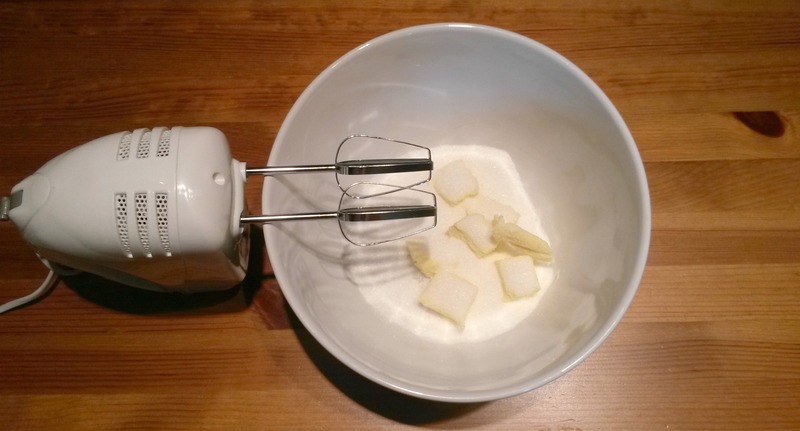 In a bowl with an electric mixer, cream the butter and sugar together. 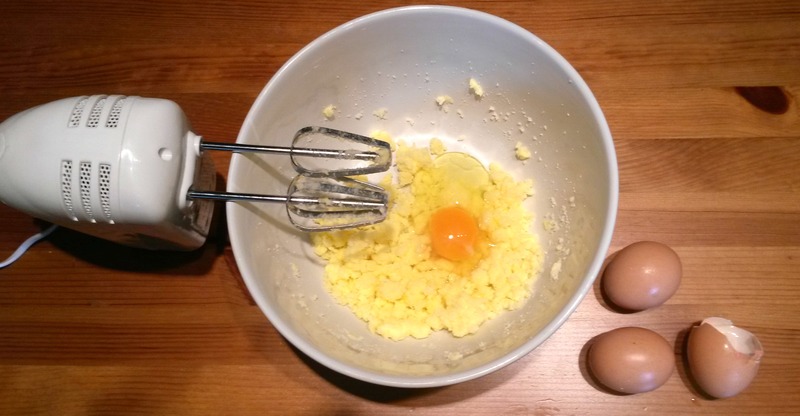 Add in the eggs one at a time until well beaten and mixed. Once you’ve added the eggs mix in coconut with a spoon. 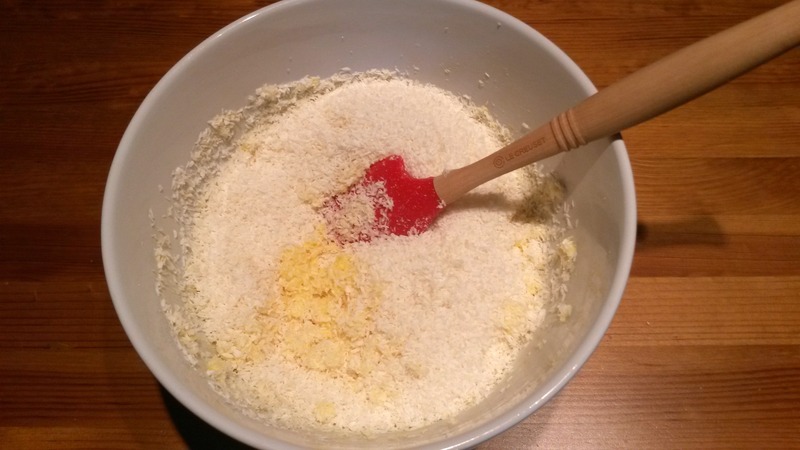 At this point you will be left with a yellow-buttery mixture. On a baking sheet lined and greased drop scoops of the mixture. At first I used an icecream/potato scoop but it wasn’t doing the trick so I used a spoon. I found this was the most difficult step of the recipe. I varied between the spoon, scooper and my hands. 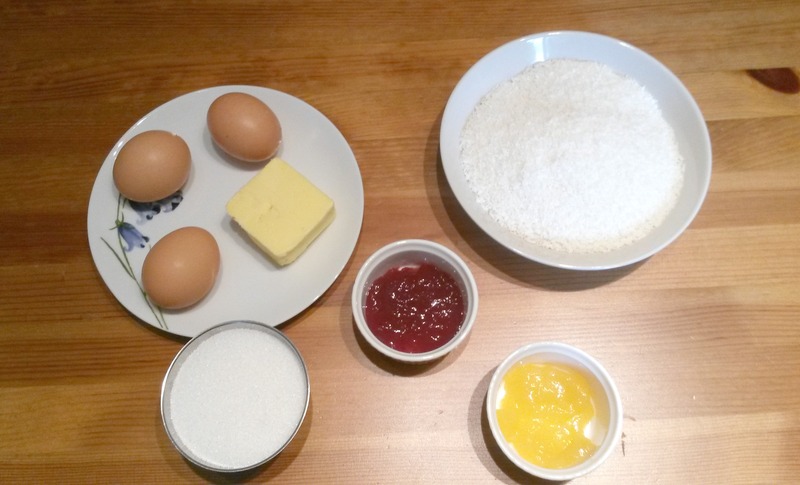 Rolling the mixture into balls was the easiest and then, using the spoon or your fingers, make an indent for your filling. Bake for 20-25 minutes. The macaroons should be golden brown with dark brown spots in places once they’re ready. Remove the tray from the oven and allow to cool before removing from the baking tray. Place on a wire rack to ensure the macaroons are completely cooled. Once cooled, add your jam or condiment of choice to the indention you made. I used raspberry jam and lemon curd. Alternatively you could use Nutella. Without a jam these are quite dry so make sure to pair them with a condiment of sorts. Enjoy with tea, coffee and friends! 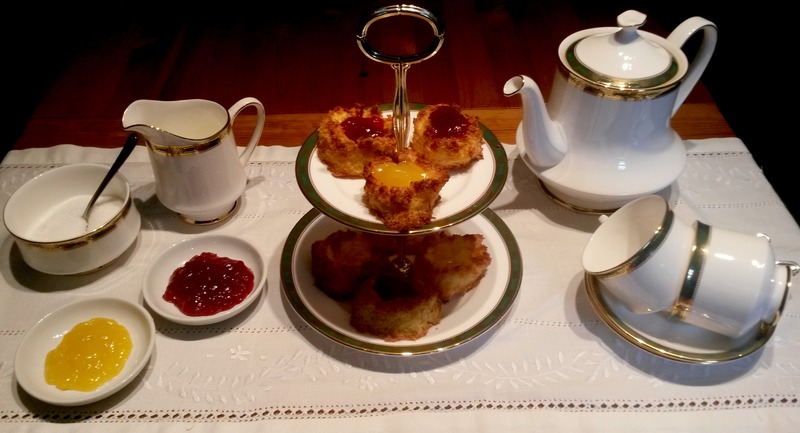 This entry was posted in Lifestyle Posts and tagged afternoon tea, Baking, cocnut macaroons, coconut macaroons, cooking, high tea, ideas, Lifestyle, macaron, Macarons, macrons, recipe, tasty, tea time. Bookmark the permalink.